Three space station residents launched Friday from Kazakhstan, kicking off a nearly yearlong expedition to help plan for future voyages to Mars. 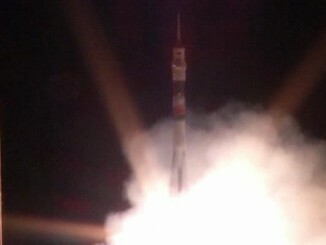 The crew blasted off on a Soyuz rocket heading for the International Space Station at 1943 GMT (3:43 p.m. EDT). 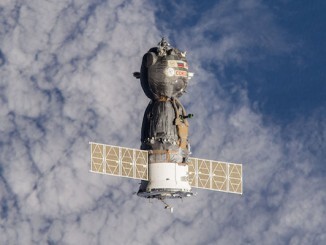 Docking occurred at 0136 GMT (9:36 p.m. EDT). 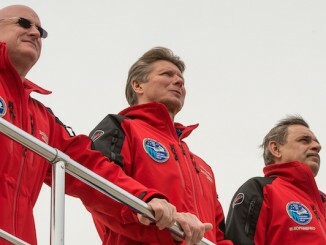 Two veteran spacemen embarking on a marathon yearlong mission in orbit must first sprint through a busy workday Friday — suiting up for liftoff, climbing into their Soyuz spaceship, then flying to the International Space Station. 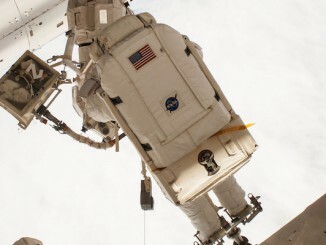 Shuttle veteran Scott Kelly first heard about NASA’s plans to send an astronaut to the International Space Station for nearly a full year shortly after he completed his third space flight in 2011, a 159-day stay aboard the orbital lab complex. 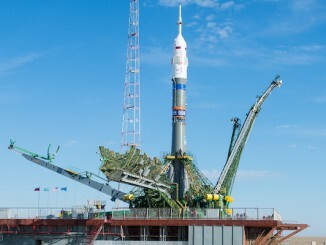 A Soyuz rocket is sitting on a historic launch pad in Kazakhstan after a railroad journey at sunrise Wednesday positioned the crew ferry craft for liftoff Friday with a three-man crew destined for the International Space Station, including two spaceflight veterans who will spend nearly one year in orbit. 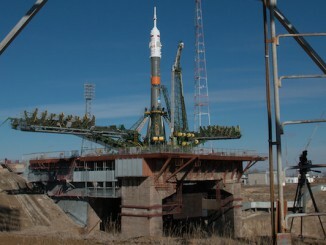 Russian launch crews on two continents are putting the final touches on a pair of Soyuz rockets scheduled to blast off less than two hours apart Friday — one carrying a three-man crew to the space station, and another boosting two European navigation satellites into orbit from the Amazon jungle. 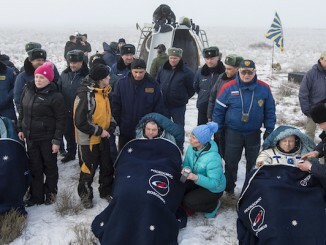 A three-member space crew returned to Earth just after sunrise Thursday in Kazakhstan, descending through a sun-splashed sky under an orange and white parachute before dipping through fog for a rocket-cushioned touchdown on the snowy steppes of Central Asia. 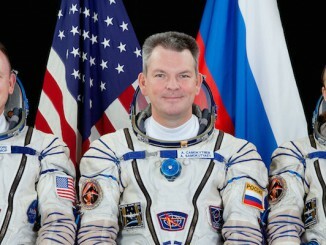 Three space station fliers — the outgoing NASA commander and two Russian cosmonauts — undocked and returned to Earth Wednesday, ending a 167-day stay in space with a communications blackout that left the crew out of contact with flight controllers during much of the trip home. 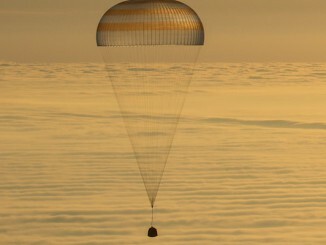 Three crew members departed the International Space Station on Wednesday and descended back to Earth, touching down in Kazakhstan aboard the Soyuz TMA-14M capsule at 10:08 p.m. EDT (0208 GMT Thursday). 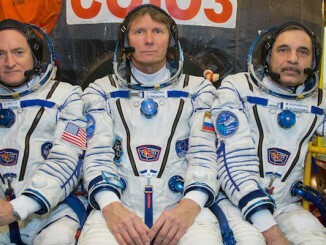 Two Russian cosmonauts and a U.S. Navy test pilot will buckle into custom-molded seats inside a Soyuz spaceship Wednesday, undock from the International Space Station and head for a parachute-assisted landing in Kazakhstan to close out a 167-day space voyage.